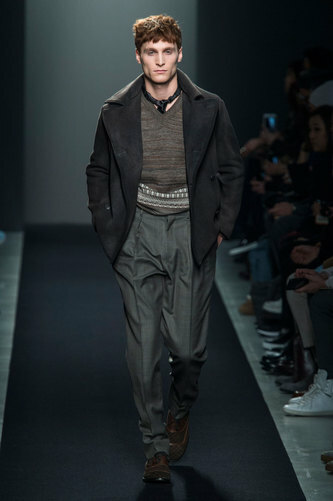 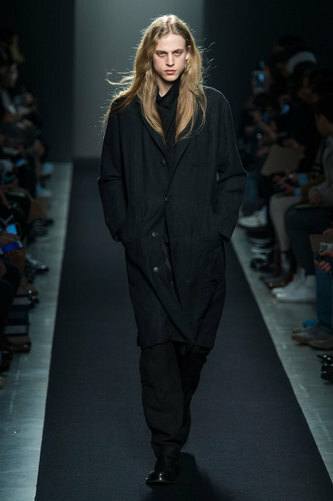 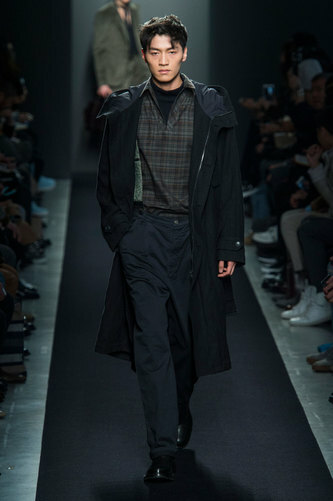 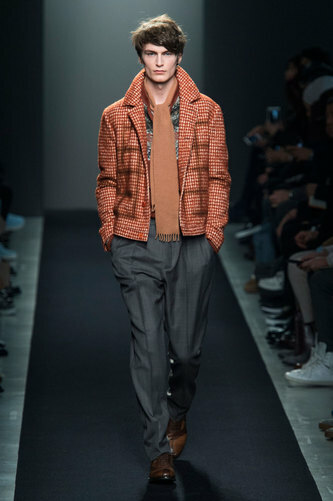 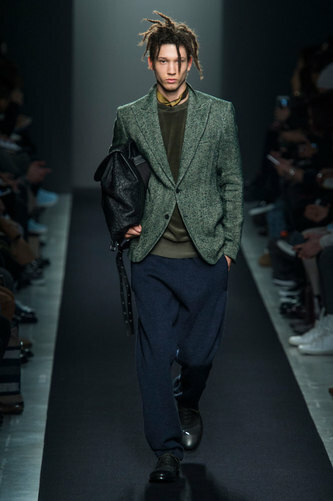 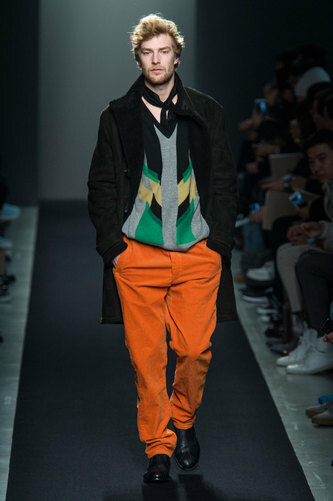 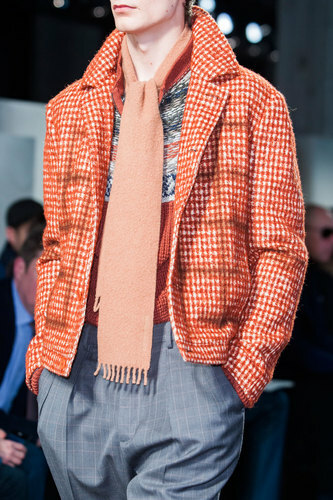 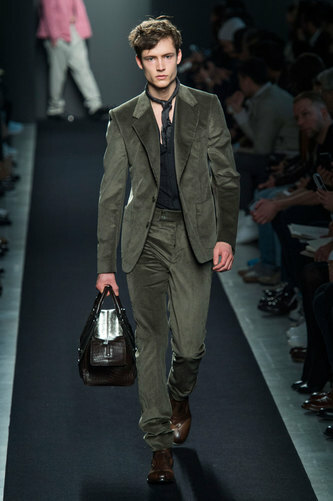 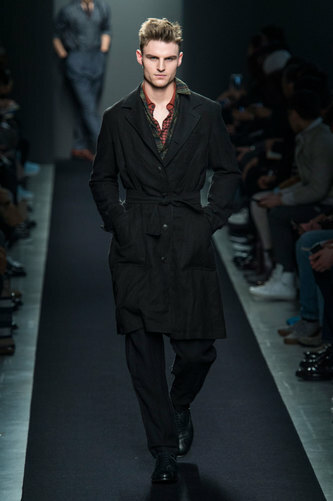 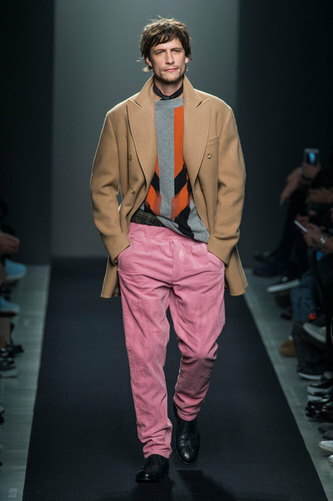 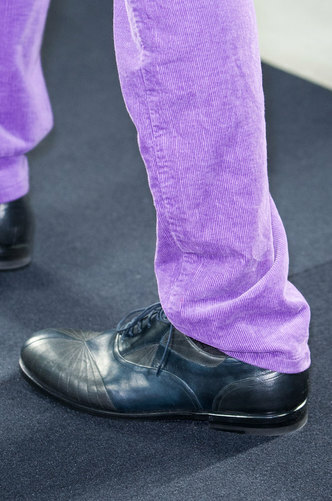 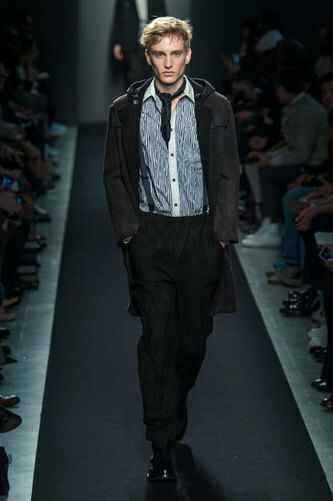 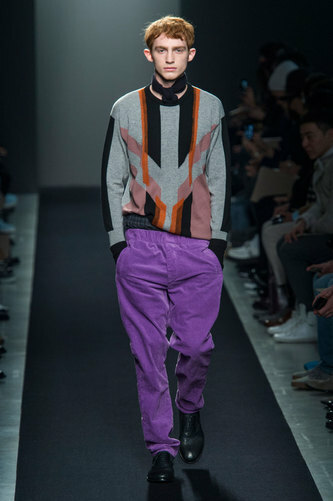 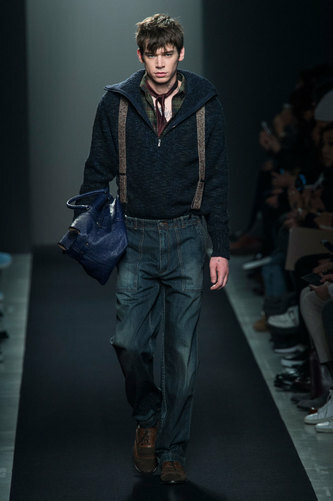 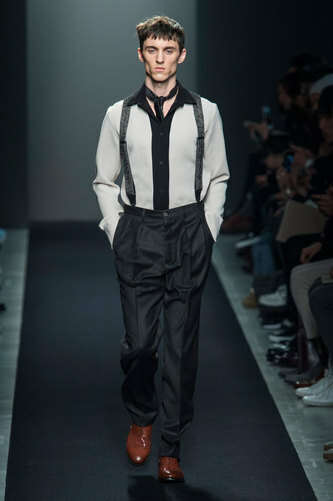 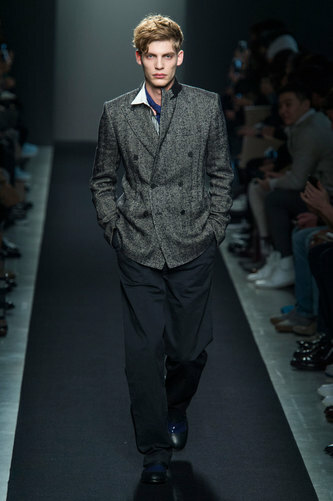 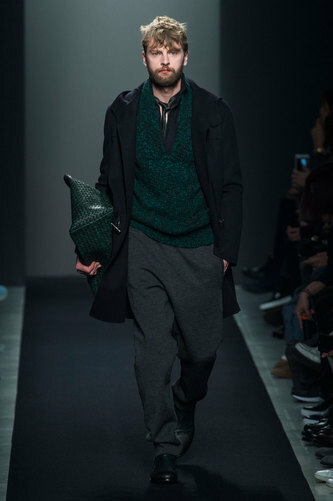 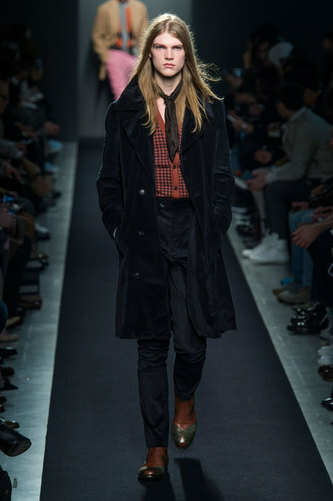 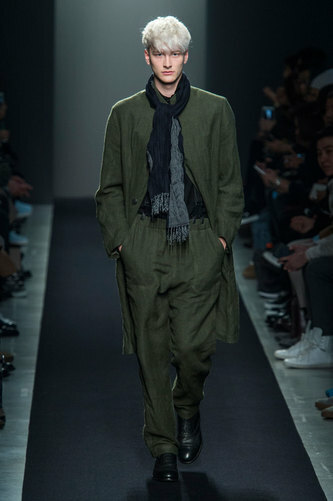 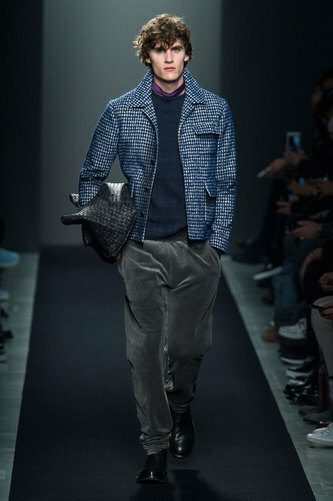 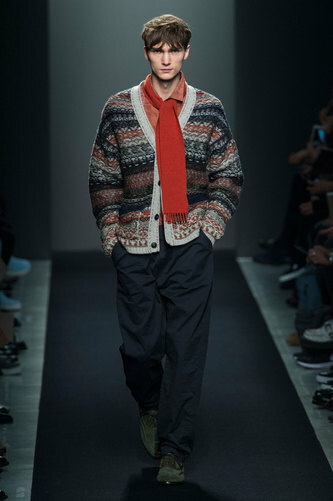 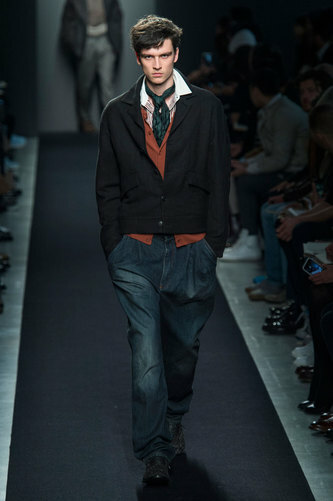 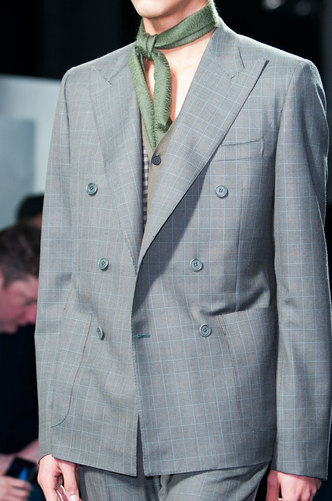 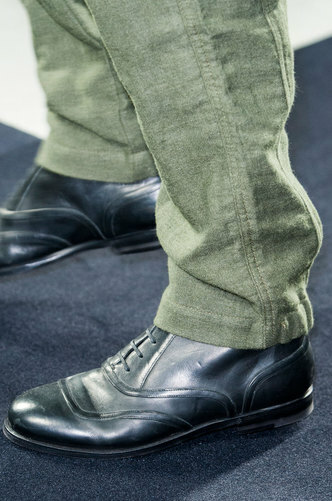 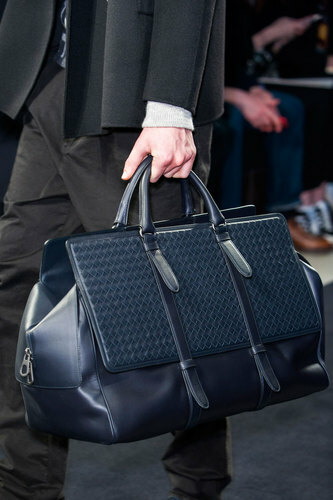 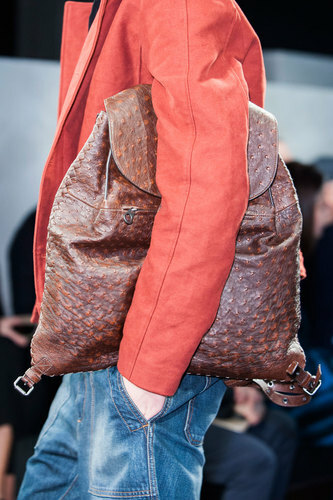 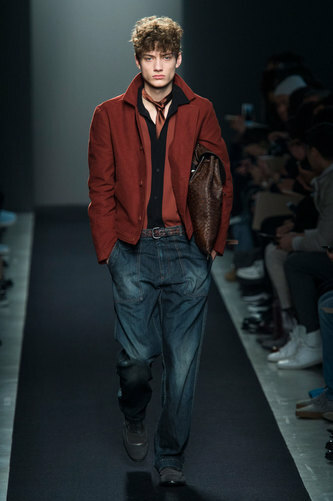 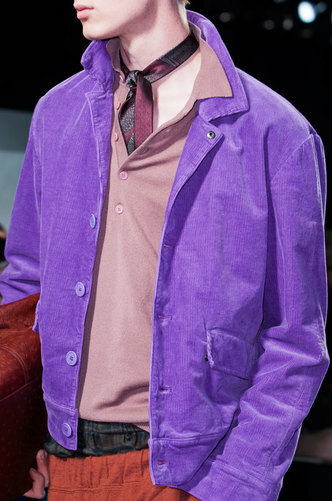 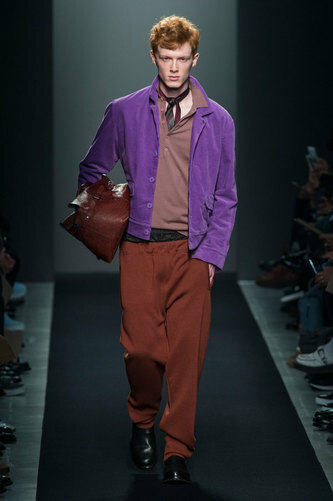 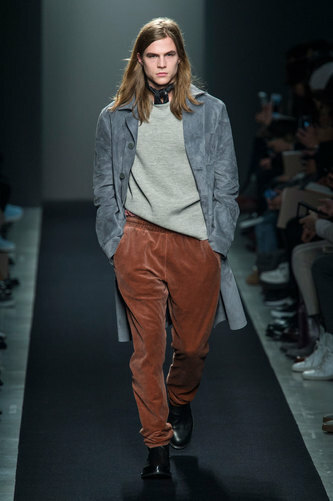 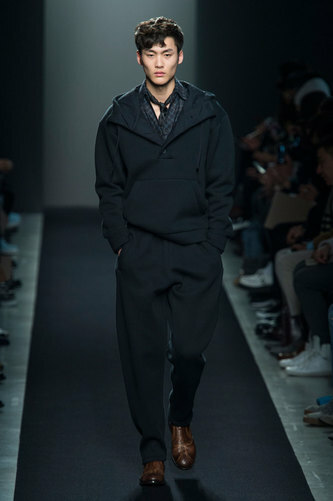 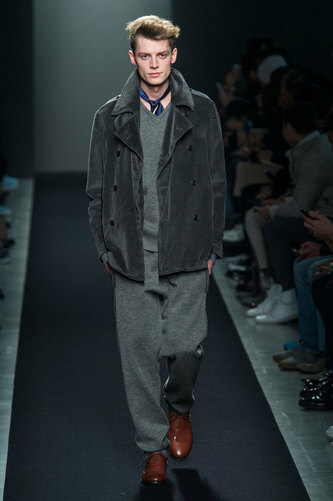 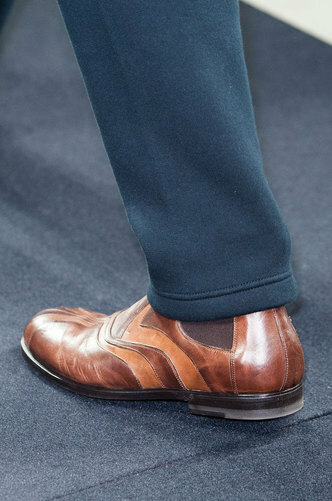 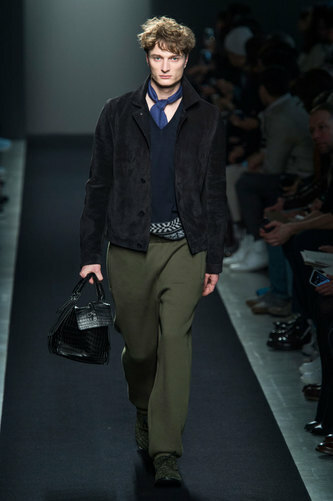 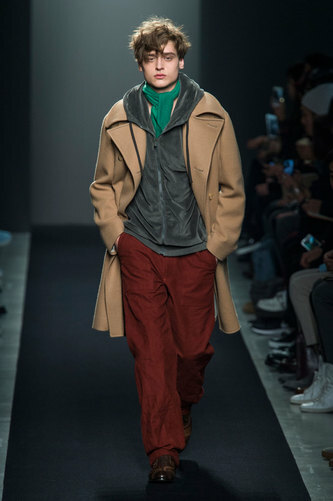 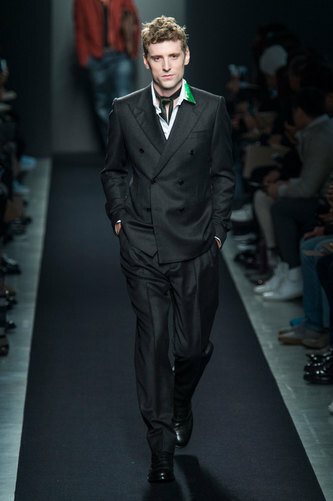 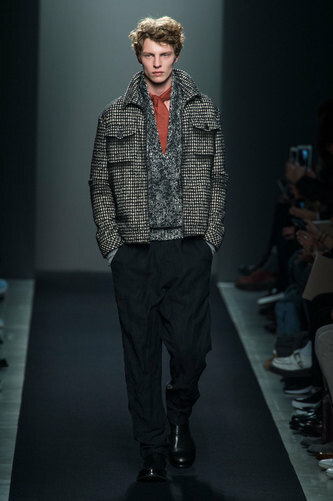 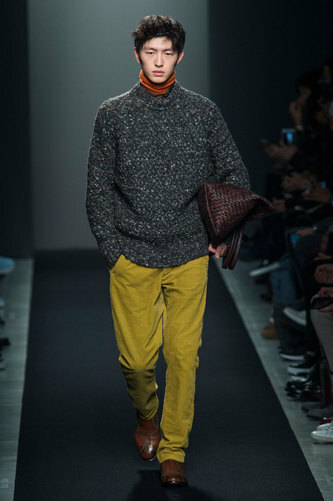 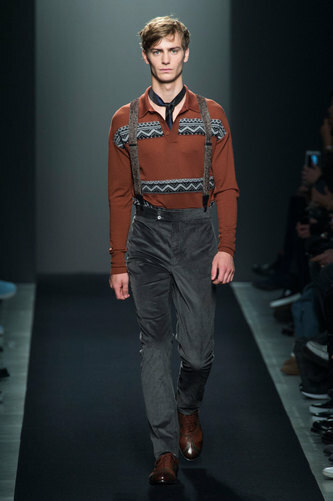 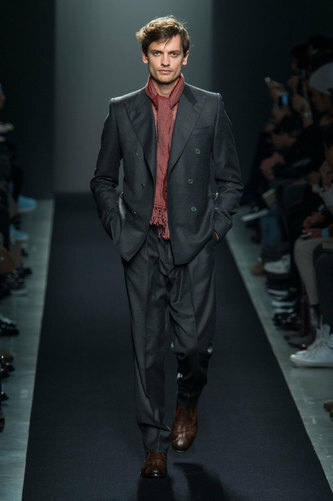 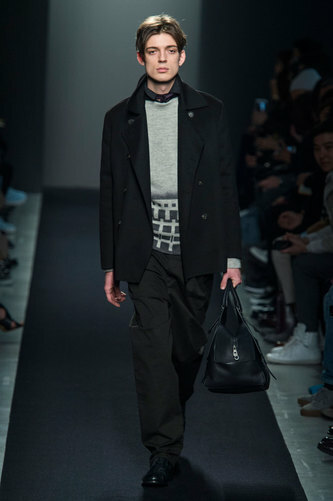 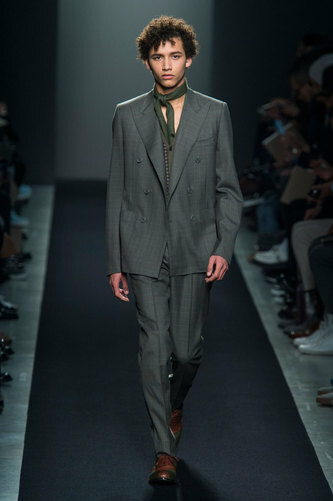 Bottega Veneta Man Autumn-Winter 2015-16 – Bottega Veneta’s show was inspired by creativity: different bright shades, various shapes, casual looks represent the features of this unusual collection. 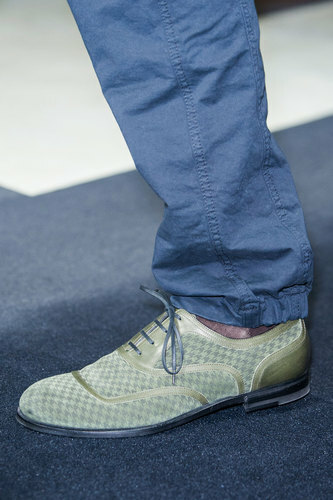 The brand decides to describe a practical man who is not afraid to dare. 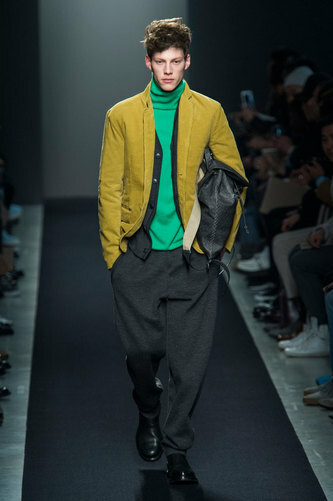 He mixes different styles using fleeces, blazers, sporty pants or suits. 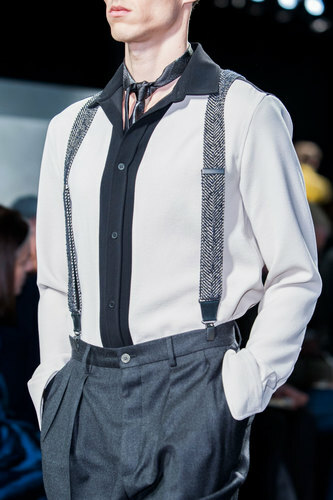 It is a man who “dresses from necessity”. 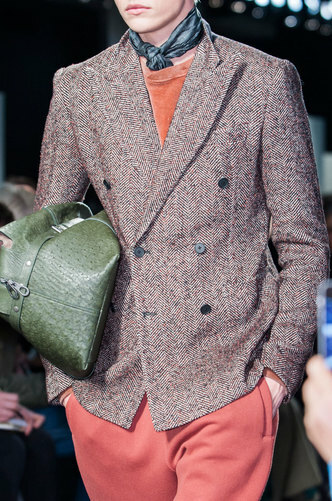 The cloakroom interchanges darks colours with typical tones of this season: purple, orange, mustard and green. 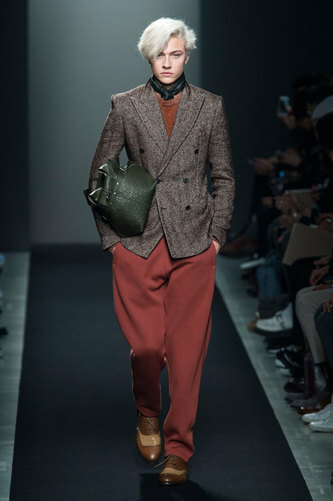 The casualness of the outfits appears to be refined. 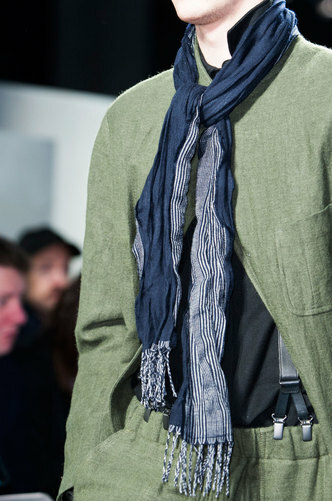 Tomas Maier mixes fabrics and styles without any effort. 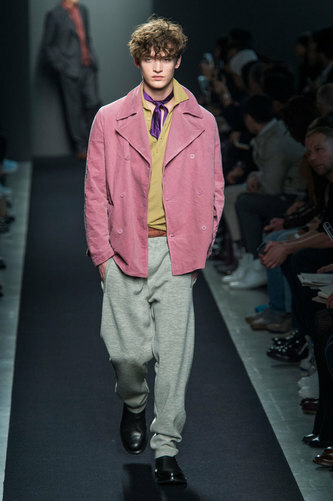 Comfortable pants match with blazer and jumpers , loose jeans with a pink jacket, corduroy with knitwear. 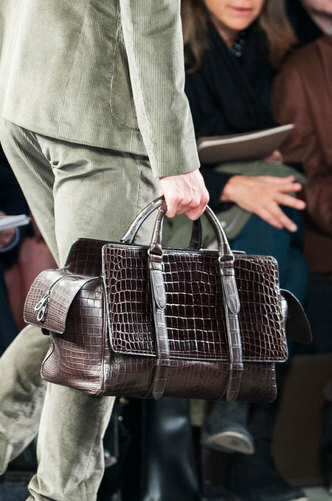 Every detail reflects the designer vision of “clothes that have lived a life”. 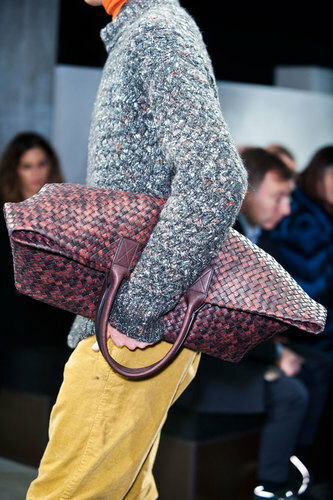 Crocodile handwoven bags, tangled scarves and suspenders are sophisticated accessories complete this extraordinary collection.